A few months ago, Gabe and I decided to register for our honeymoon. We literally do not need a single item for our house. I often joke that we own everything from a KitchenAid mixer to a Dyson vacuum, and everything between. When we started the discussion to visit Europe for our honeymoon, I thought we were day dreaming - now it is becoming a dream come true. The trip is currently 50% paid for, with many thanks to our family and friends! 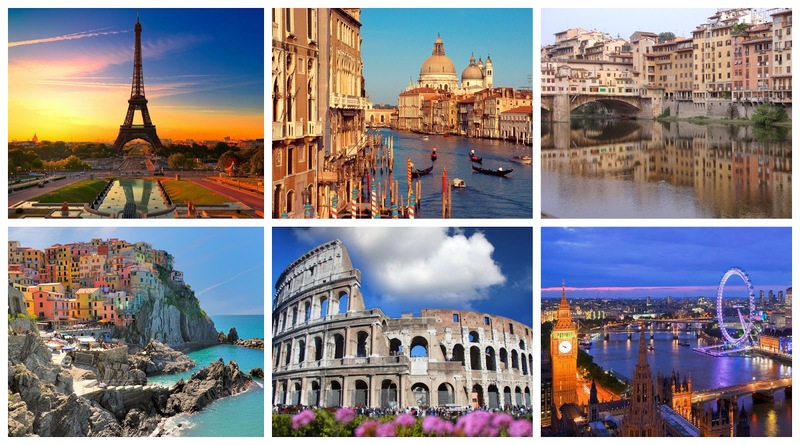 Here are a few of the sites we will see on our trip! Since honeymoon planning has taken over my life, I wanted to share some best practices if you plan on doing something similar. The first thing I did, prior to registering was locking down our agenda. Having an agenda will help you keep track of what you want to do and when you will be doing it. We have limited time in each location so planning ahead is a necessity for us. Once your agenda is finalized, you can start working excursions, tours and dining plans. 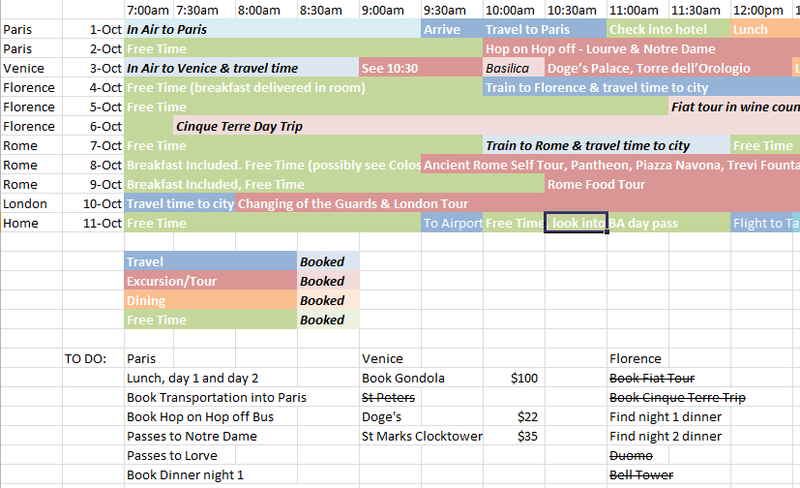 I created a spreadsheet, broken down day by day, hour by hour and location. I even color coded it for various activities. Once the item is bought, I change the color so I have a visual of what we have left to purchase. I also kept a list at the bottom to keep me on track. This will also help you stay within your budget. After I had the agenda, we created a registry on honeyfund.com. This site charged no fees and was easy to navigate. Your "gifts" come in as funds either via paypal or by check. Keep in mind, if your guests use a credit card for purchase, you are responsible for the paypal fee. It comes right out of your account. I ended up getting a paypal debit card which gives 1% cash back - this helped with the fee a little. You can check out our registry by clicking here. Since everything is so expensive, we broke down the pricing. Many items we registered for were hundreds of dollars (thousands considering the international flight). I made sure to offer a variety of prices, $30 being the lowest, $75 being the highest. Also, be sure to register for "gift certificates" or generic items such as bottles of wine. This will help cover items you forgot to register for, or give you the flexibility to order that extra special bottle of champagne while dining at the Eiffel Tower!. One thing to keep in mind if you are traveling to Europe for the first time, find out which spots allow you to purchase Queue's ahead of time. As of today, we already have our times for the Eiffel Tower, Seine River Cruise, St. Marks Basilica, Accademia Gallery and Duomo. Not standing in line will save us a great deal of time, plus being we paid ahead of time, it will feel like we are saving money. 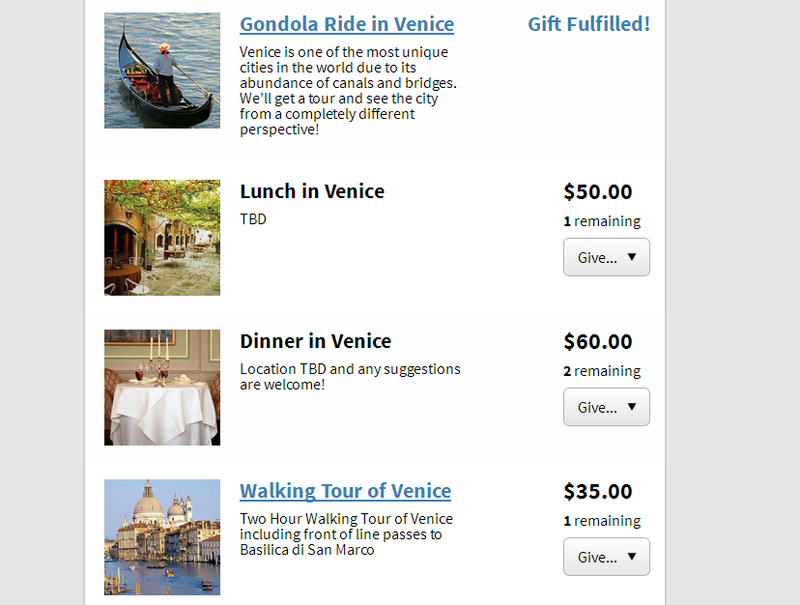 Make sure you visit the actual website of each location vs. buying the queue's through a travel guide - we saved hundreds of dollars by avoiding tour groups. Research which areas to stay in. We plan on walking a lot - so being centralized was more important to us than staying at a 5 star resort. We booked our hotel rooms far in advance using booking.com. Sites like this allow you to book in advance, with no money down. The cancellation rules vary by property so make sure you read the fine print - luckily all of our hotels are within a 72 hour cancellation window with no fees. This website literally saved my mental state when it came to planning the honeymoon since we had to plan everything out prior to the bridal shower. It also gave me flexibility and assurance that we would have a room. I frequently go back and price match, making sure we are in the correct price range...check this out! If we booked those 5 hotels today, we would be paying $3,056 just for our hotel rooms!!! We spent $1700, so we saved nearly 50% by booking in advance. After you receive your gifts, keep a list handy of who got you what and bring it with you. 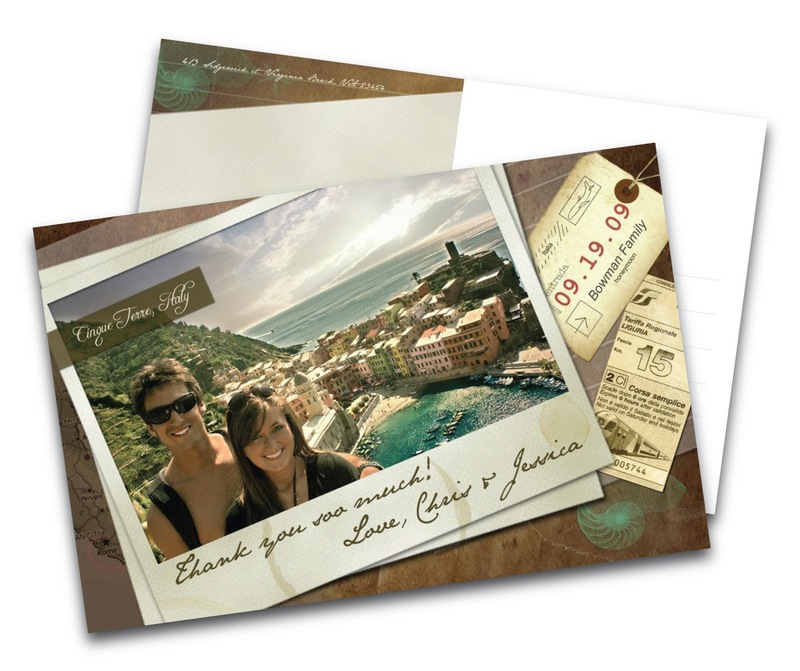 We are planning on taking photos at each location, including them in our thank you cards as shown below. For instance, my best friend got us a portion of Cinque Terre day trip (ironically the same location as the photo below) - we will not only send them a photo of us there, but also create a photobook for us to keep, notating who got us that experience so we will remember it for the rest of our lives. Don't wait for a item to be fulfilled 100% prior to buying it. You need to purchase the important items first. To date, we have received 22 portions of our flight to Europe. We have a honeymoon saving account and pulled from other gifts to purchase the flights. We will make sure to purchase the experiences which have been bought for us. During this process, I learned very fast how poor the USD is. Keep up with the foreign exchange rate and make sure you adjust your registry with current conditions. Also while over there, look into your credit cards exchange rates. Sometimes this is a cheaper option than exchanging money. We have a world mastercard which will be our best friend for this trip.